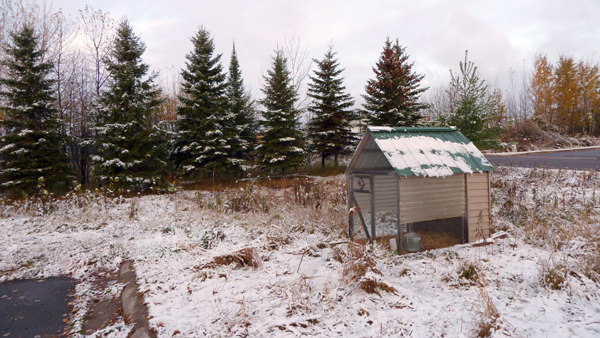 Our first snowfall was the perfect portend to our chickens’ move into their new fully-functional coop. 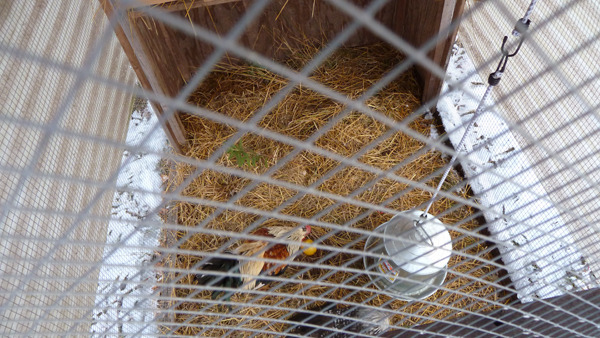 While our Icelandic chickens were faring well in the open “tractor” coop that was generously leant to us in conjunction with the chickens’ arrival into our lives, they need an enclosed coop to take them through the winter. 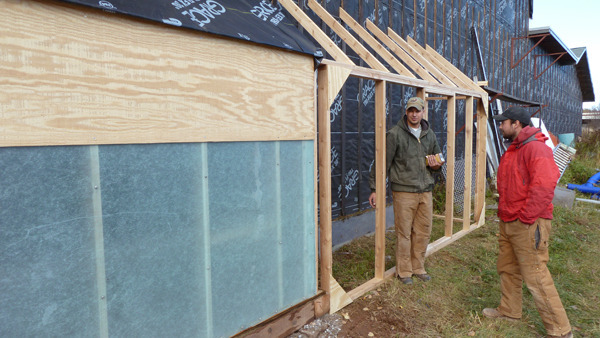 Team Meteek was up to the challenge, and put together an ingenious design of passive light (fiberglass panels) and passive solar heat gained on the south side of our shop. 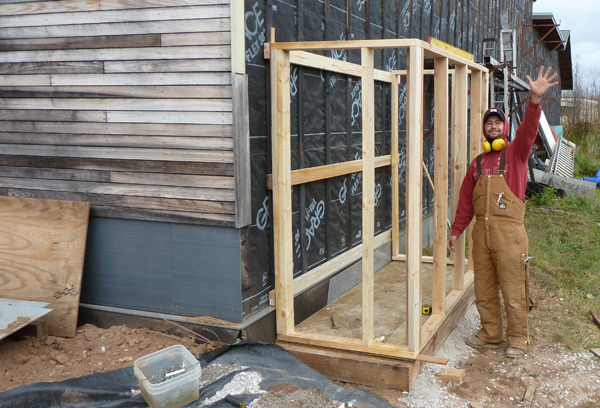 We constructed the coop with lumber on-hand and reused various materials left over from other projects. 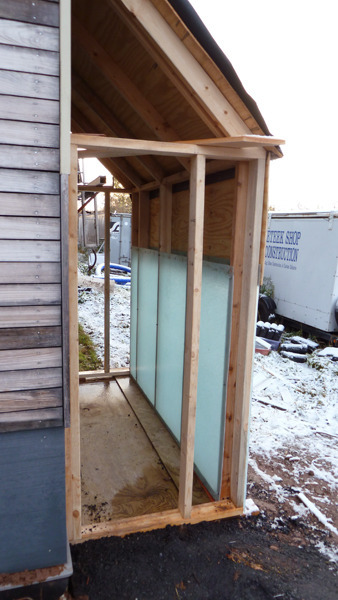 The coop includes a run, where the chickens can hunt and peck outside on warm days.